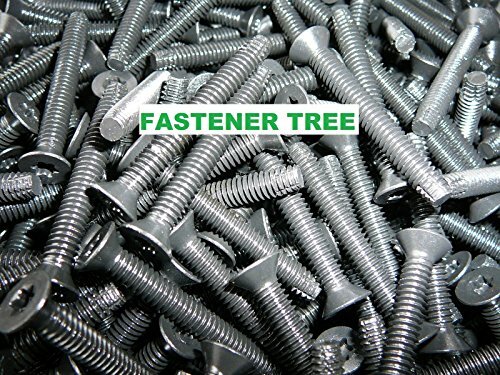 Trailer Floorboard Screws, 1/4-20 X 2-1/2", 100pc carton, case hardened black phosphate in light oil, self-tapping Type-F, six lobe (Torx) v-shaped flat head, fully threaded. Requires pre-drilled pilot hole with 7/32 bit, and T-30 torx drive bit. Requires pre-drilled pilot hole with 7/32 bit, and T-30 torx drive bit. If you have any questions about this product by UOORBOARD DECK FLAT TORX SCREW T30 DRIVE, contact us by completing and submitting the form below. If you are looking for a specif part number, please include it with your message.